The US Food and Drug Administration has made a surprising number of pro-cannabis moves in recent months. Now the FDA's head honcho is hinting at support for decriminalizing cannabis, writes Calvin Hughes. During a recent appearance on CNBC's 'Squawk Box,' FDA Commissioner Scott Gottlieb was asked by host Joe Kernen to comment on the common argument that marijuana is safer than alcohol and therefore should be legalized. Gottlieb said he wasn't sure the two substances are comparable. "I think the use patterns are different," Gottlieb said. "So I think it's hard to make comparisons between alcohol and marijuana." But, instead of launching into talking points to support cannabis prohibition, Gottlieb followed up with a rather interesting comment. "There's a difference between decriminalization and legalization," he added. "There's a very big difference....We could decriminalize the use of certain substance and the possession of certain substances and not move toward legalization and promotion of use." 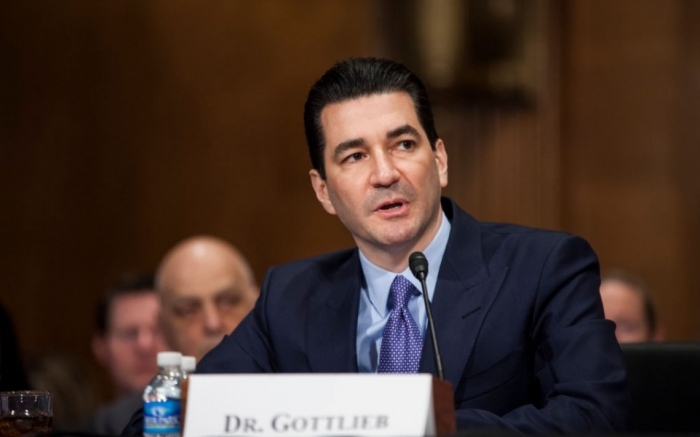 While this is certainly not a direct call to decriminalize cannabis, Gottlieb's statement is a departure from the typical federal stance on marijuana, which is still officially classified as a substance with no medical value that is as dangerous as heroin. And this isn't the first time that the FDA has taken a softer approach to cannabis. In recent months the FDA has actually begun to move federal regulations on cannabis. In May they approved a study on marijuana treatments for veterans suffering from PTSD. In June they approved the first cannabis-derived medication with Gottlieb saying "sound development programs" were key to moves like this. If this keeps up, we might reflect on these incremental moves as the beginning of the end for cannabis prohibition in America.